In our previous post about a report by Phoebe Greenwood in the Guardian (‘Golan Heights braces for war as tensions rise between Syria and Israel, May 31) we exposed two errors. The report grossly inflated the number of Druze in the Golan Heights (there are 20,000, not 80,000 as Greenwood claimed), and also falsely alleged that Druze is an “Islamic sect” when it is in fact a unique monotheistic religion which departed from Islam around the 11th century. As we noted in our last post (as a bit of background), Majdal Shams is one of the four Druze communities in the Golan Heights, with a population of about 9,000. After capturing the Golan Heights during the Six Day War, Israel offered all the Druze people living there citizenship—an offer most turned down. However, they all carry Israeli ID cards and are free to live, travel, work, and seek higher education anywhere in the Jewish state. 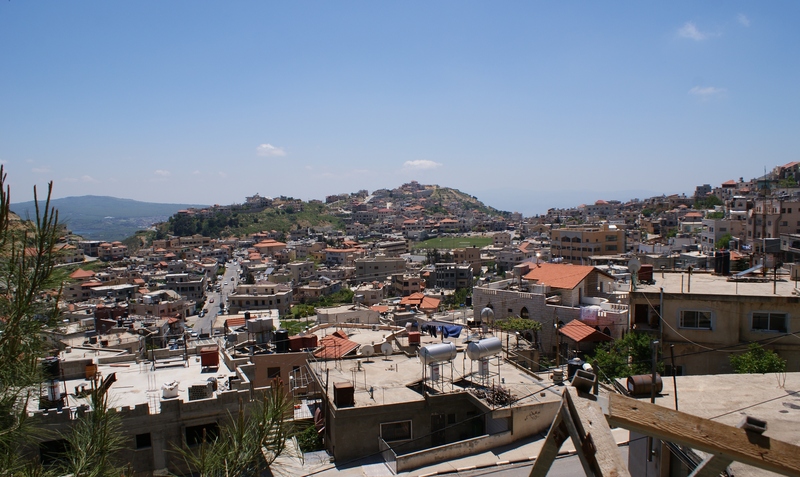 However, in addition to these factual errors, Greenwood’s report on the precarious position of residents of the Israeli-Syrian border town of Majdal Shams – in the context of a Syrian civil war which has already spread to Lebanon and now threatens Israel’s northern communities – relies largely on a Druze who she fails to fully identify. “We are in a very special situation. We are lucky our village wasn’t destroyed in 1967 because Israel considers us Druze so we are not a target for them. We are Syrian so we are not a target for Syria or for Hezbollah. We are like an island in this region,” explains Dr Maray Taisseer [sic], a consultant at the Majdal Shams medical centre and community spokesperson. Leaving aside the risible claim that the Syrian Druze community in the Golan wouldn’t ever be targeted by the Iranian sponsored Shiite Islamist movement or the regime of Bashar Assad because neither would dare target ‘Syrians’, it’s misleading to refer to Dr. Taisseer Maray (Greenwood conflated his first and last names) as a “community spokesman”. Maray, Greenwood primary source, is in fact the director of a highly politicized, pro-BDS NGO, Golan for Development, and has stated his opposition to the existence of a Jewish state within any borders. The war, if it comes, may not be a disaster, Taisseer suggests, if it delivers Golan back into Syrian hands. “Whatever happens in Syria, everyone agrees we should be liberated – it doesn’t matter whether it’s by regime or rebel forces. This is Syrian land and that is clear,” he states unequivocally. [Druze are] loyal to whoever is in charge of the country they live in…The Druze on the Golan are no different from Israeli or Lebanese Druze in this way, but their political geography is different. Though they’re governed by Israel now, they may be governed again by Syria later. So even though Israel offers them citizenship, most haven’t taken it. They’re afraid of the consequences if Syrian rule ever returns. 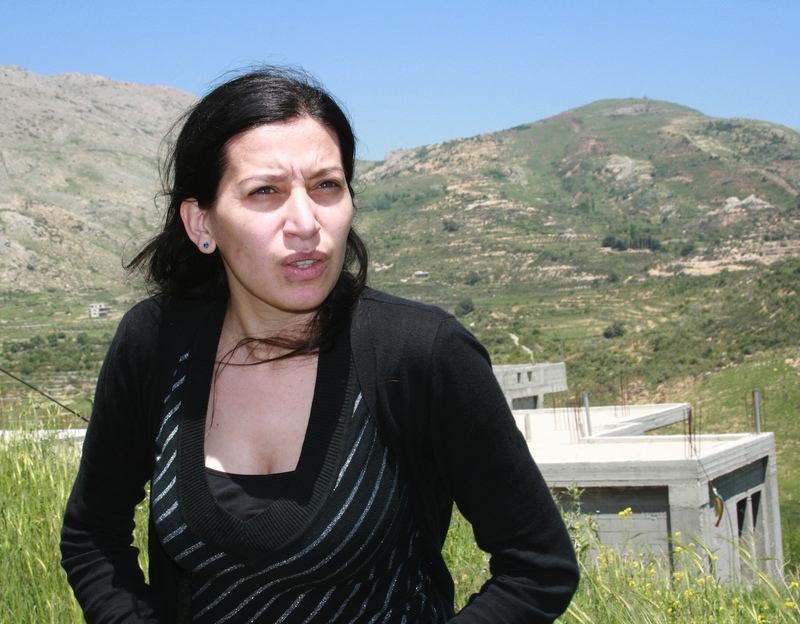 Shefaa Abu Jabal, a prominent Majdal Shams Druze spokesperson (and anti-Assad activist) explained in an interview with Dissent Magazine last summer that though her heart may long emotionally for Syria, she is “100 percent aware that thanks to my education that I received here in Israel I can express my opinion more freely”. Indeed, last July Abu Jabal passed the Israeli bar after graduating from Haifa University Law School—the first Syrian Druze woman resident of Israel to graduate from an Israeli university. Just two weeks after Abu Jabal uttered those words, she emailed the journalist at Dissent to say that she had deactivated her Facebook page. She needed to “be out of the spotlight” for a while, and “to protect her allies living under Assad“. Whilst it may be difficult to determine with any degree of empirical certainty how “most” Druze in Majdal Shams feel about the war in Syria, or their Israeli identity, Greenwood’s story – and her reliance on selected “spokespersons” – represents a good example of the risks of taking reports by Guardian journalists who are compromised by preconceived narratives about the region at face value. ‘Comment is Free’ contributor: Is the “Global war on Terrorism” all about Israel? You forgot to mention that from all four druze villages majdal is the one holding the most anti israeli views. It is typical of dictatorships and terror organisations to hold or to aim at families as hostages. I suppose calling Druze an “Islamic sect” would be similar to calling Christianity a “Jewish sect.” Initially (i.e. one and two millennia hence respectively) both were respectively that – especially in the latter case. I wonder what the Vatican would say to that. An excellent pair of articles that reveal the shallowness of the Guardian’s reporting on Israel. The errors are due, at the end of the day, to thew bias inherent in reporting about Israel, where the assumption is that Israel can do nothing right or good, and then the search for essentially unverifiable and error-filled reports to back that idea up. Brave journalists are going into these places and trying to get us reports – inevitably biased because of the restrictions on access. Maybe Assad is worse on access than the rebels and should be chastised more for it but its difficult to be sure. Meanwhile, Israel (alone) heavily restricts access and reporting in the Palestinian areas – that is something wholly uncalled for and to be condemned. Why is it that we cannot know about the damage done to mosques and factories and ancient pavements and houses by the occupation forces in the West Bank? What is Israel covering up? ‘Meanwhile, Israel (alone) heavily restricts access and reporting in the Palestinian areas – that is something wholly uncalled for and to be condemned’. Tried doing any reporting from Yarmouk refugee camp recently? Thought not. I can see you’ve not got any information you want to share. Disgusting sock-puppeteer and professional anti-semite. Hope you are happy that you were banned from elderofzyon. Sooner or later you and your Jew-hating filth will be kicked-out from here too. Evidence is not important for people like you. Evidence is important to Israeli historians – and yet, Israel refuses even to allow their own people access to the photographs of Deir Yassin. 65 years and pictures of dead bodies are still a state secret? What’s the problem, they’ve been lying about the number of bodies for 65 years and they’re still covering it up? Beware of the trolling NSNick. Well, obviously you do know about it, otherwise how would you detail what you don’t know about? Mind you, Israel is full of Jews, and I’m sure Nick is aware – from his superior European perspective, that whatever he knows or doesn’t know about Israel, it shouldn’t be trusted. I have one report of the devastation caused in Nablus by Israel and I’m trying to find out what’s happened since. You’re quite right to remind me – the treatment of Palestinian children is disgusting indeed. There has been no change in the way Palestinian child prisoners are treated during the various phases of arrest, pretrial detention, interrogation and imprisonment. Physical and verbal abuse, solitary confinement, illtreatment, threats, strip searches and detention inside Israel in violation of Article 76 continued to be used by the Israeli authorities and perpetrators have not been held accountable for the violations they commit. You missed it again Nick. The number of detained children is not 600 but 600000, 800000 of them is under four. (According to our secret cookbooks the blood of children under this age is much more tastier in the Passover matzo). The remaining one million will be killed, their organs harvested according to the everyday demand of the world market of illegal organ trading. ‘Nick’ have you stopped making apologies for the Syrian regime? First of all, lets see if I have this right – are you in favour of people being prosecuted for war-crimes? Have you called, or are you going to call, for the Assad regime to investigate the allegations of atrocities made against their forces and to do so in an open and transparent fashion? (The way that the British have just allowed themselves to be sued by the Kenyan Mau-Mau terrorists). Can you tell me whether your government will seek to take Assad himself to court if he fails to do this? There seems little point in throwing round allegations of war-crimes if you’re not interested in seeing them prosecuted and punished. ‘Nick’ rather than attempt to divert away from my post are you going to retract the ludicrous remark you made over on BBC Watch? Either retract the remark or explain why you are right and the UNHRC is wrong. Syria is required by International Law to investigate these reports of atrocities. If it fails to do so (which its not yet done) then it will be in breach of its agreements with the rest of the world. As a result of such failure, Syria may be condemned for the alleged atrocities at the UNSC and required to either investigate itself, or to allow access to outside investigators. If Syria defies all of those things then it will cease to be a nation in good standing and become an International Pariah. If Syria behaves like this, would you be in favour of Assad being prosecuted for war-crimes? Simple enough question – Yes or No? ‘Nick’ sadly it seems you need to be reminded of the last two sentences in my post. ‘Nick’ are you going to a) retract your remark? Or b) explain why YOU are right and the UNHRC is wrong? Your reluctance to do either of these things explains a lot about your support for a regime branded as war criminals by the UNHRC. I understand, from ‘twitter’, that another Nick Nick Griffin of the neo-Nazi BNP is currently on a fact finding visit to Damascus. Why am I not surprised that you two are bedfellows.